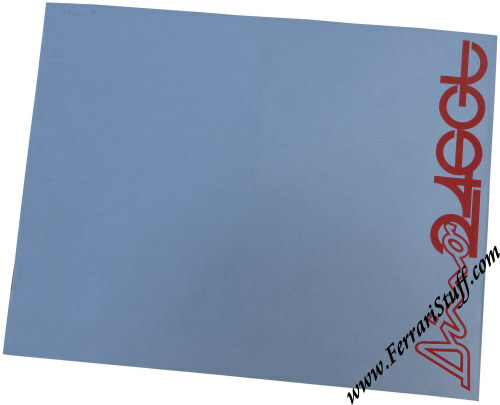 Ferrari factory original 1970 Ferrari Dino 246 sales brochure with silver-colored cover. Measures approximately 10.5 x 8.25 inches. Both covers have half-sized flaps. It contains 6 full sized pages with large color photos + 3 half-sized pages with B&W text. The insides of the covers also contain data and photo. 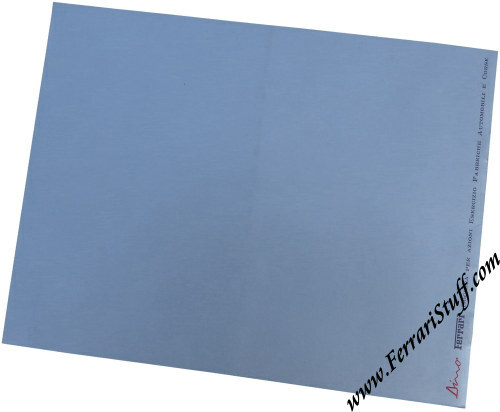 Ferrari Print Number 41/70, issued in 1970, printed in Italy by Poligrafici il Borgo, San Lazzaro di Savena (Bologna). Has a very faint "Turin 1970" written on the front cover.